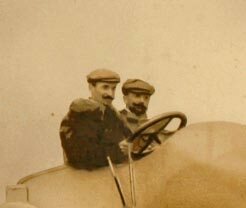 Richard Buxbaum of Chicago has forwarded last Friday's Mystery Foto of a French race team. Both Richard and I needed help identifying it. 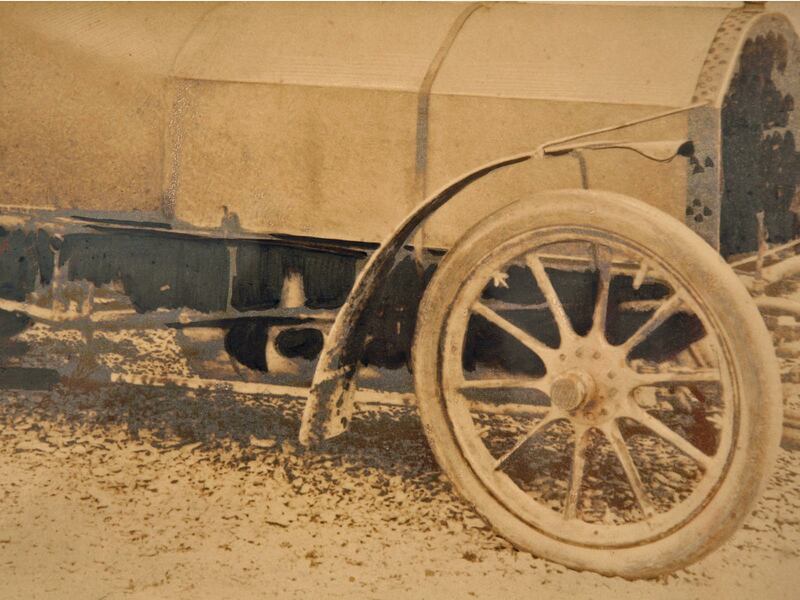 Richard B: "I have an original photograph taken in "1904" in France of a chain drive race car, and I used to think I knew something about automobiles, until this came along. Not a clue as to what it is." Based on the VanderbiltCupRaces.com archives of starting lineups, it did not appear to be a car that participated in the Vanderbilt Cup Races. 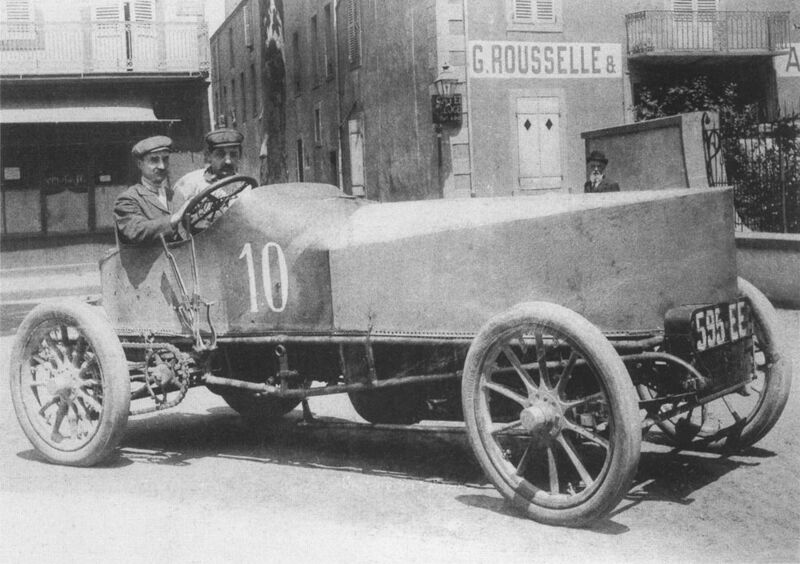 Congratulations to Ariejan Bos of the Netherlands and Jean-Yves Lassaux of France for identifying Louis Rigolly driving the 1904 Gobron-Brillié Racer. Rigolly was the first man to beat William K. Vanderbilt Jr's 92.3 mph one-mile land speed record. In June 1904, he was the first person to surpass 100 mph. The amazing Internet: The Mystery Foto was submitted from Chicago, posted on a New York-based website and solved by viewers in France and the Netherlands. If you have a candidate for a Mystery Foto, please send the jpegs to me at Howard@Kroplick.com . I just read the interesting answer of Ariejan... But I think there is just a little mistake about the first picture. For me it's not the 1904 but the 1906 model. I have sent you picutres of the cars in 1904, 1905 and 1906 before and during the races ("French_GB_Elim" = French Gordon Bennett Elimination Trial", and "GP_ACF" = Grand Prix de l'Automobile-Club de France).The picture call "1906-GP_ACF-01.jpg" is exactly the same car as in the first picture of Ariejan, at the same place, but with a different point of view and show the new body of 1906. 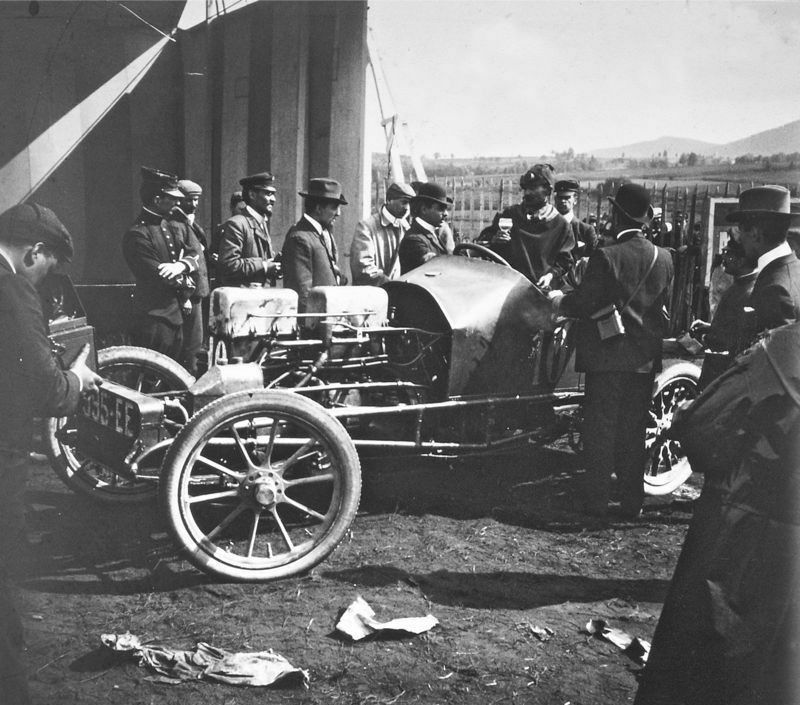 It's not very important but reinforces my point of view: the car is the one that ran the 1904 French Gordon Bennett Elimination Trial. 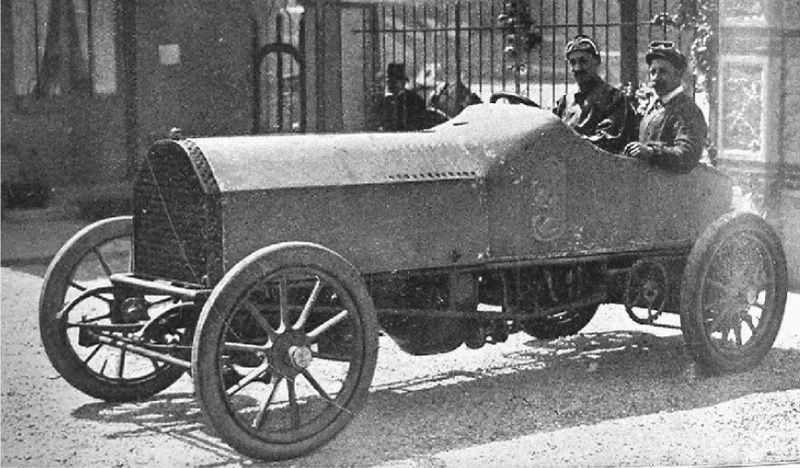 It is a Gobron-Brillié racer, photographed probably at the end of 1904 with the new body with honeycomb radiator. It was a slightly modified version of the 1904 version, built for the French Gordon Bennett Eliminating Trials of 1905. 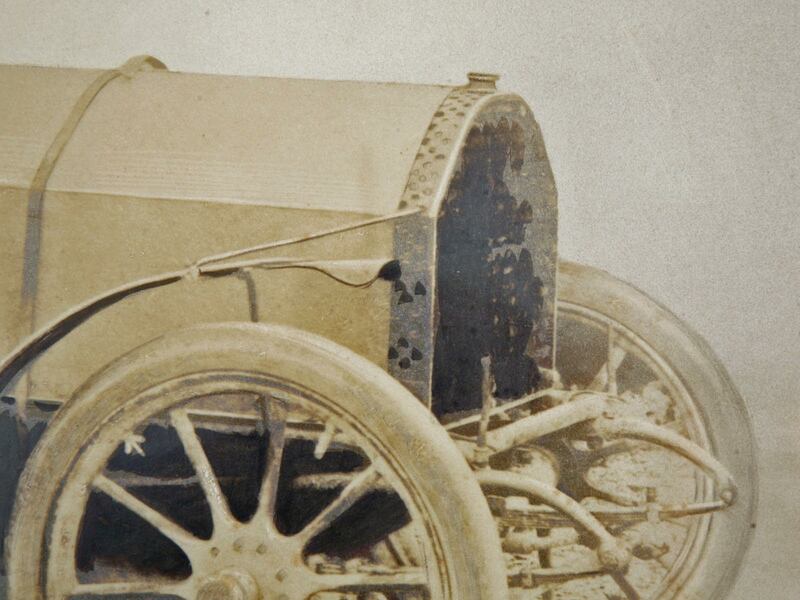 I have sent you a few photographs of the older model of 1904 (which are better known: with the sharp point at the front, or without hood at all, undoubtedly for cooling reasons) as well as a photograph of the Gordon Bennett car in 1905 (again without hood). If you compare the tubular chassis as well the other aspects like steering wheel and control handles, you will notice the similarity. The back of the 1905 car has changed and resembles the shape of the mystery racer. The driver will undoubtedly be Rigolly, but I can't find the identity of his mechanician anywhere. Maybe somebody else knows? Rigolly and the 100 h.p. 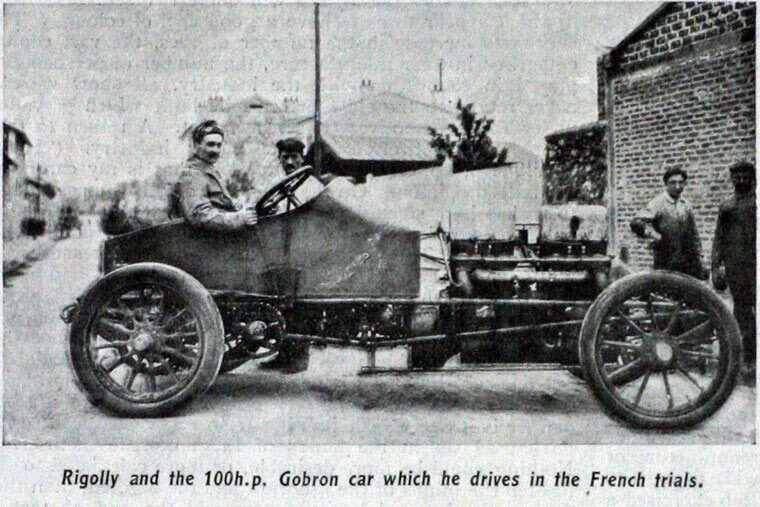 Gobron car which he drives in the French trials. Date may be 1904 or 1906. This is a Gobron-Brillié with Louis Rigolly at the wheel. 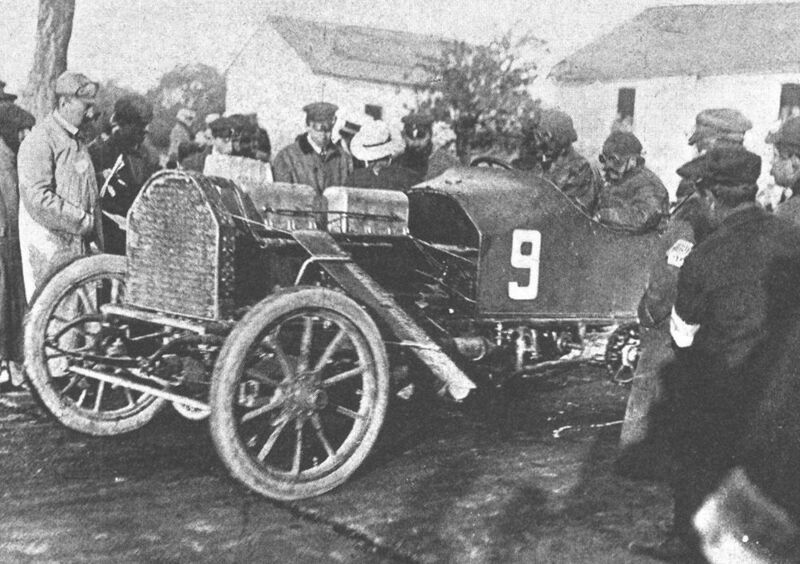 This car ran the “French Gordon Bennett Elimination Trial” held on May 20, 1904 in Argonne, France (DNF, lost radiator on lap 1). 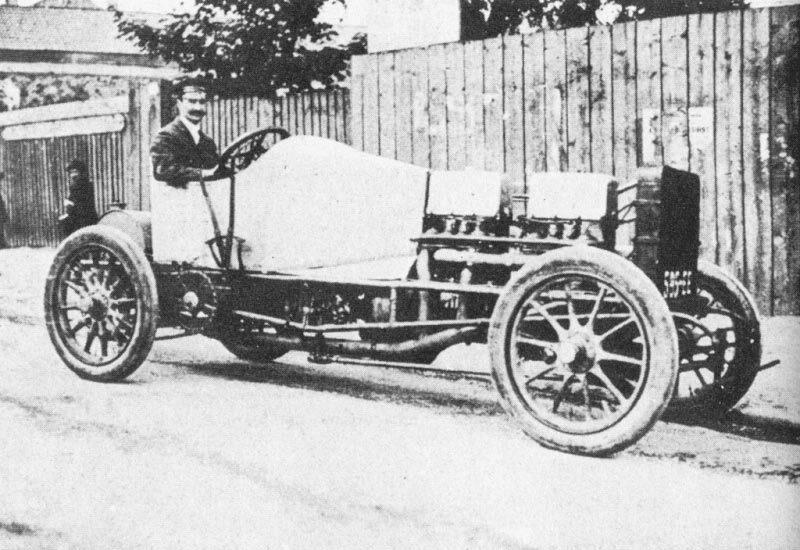 This car had a unique particularity: Eugène Brillié had conceived an engine with four cylinders and two pistons by cylinder working in opposition. 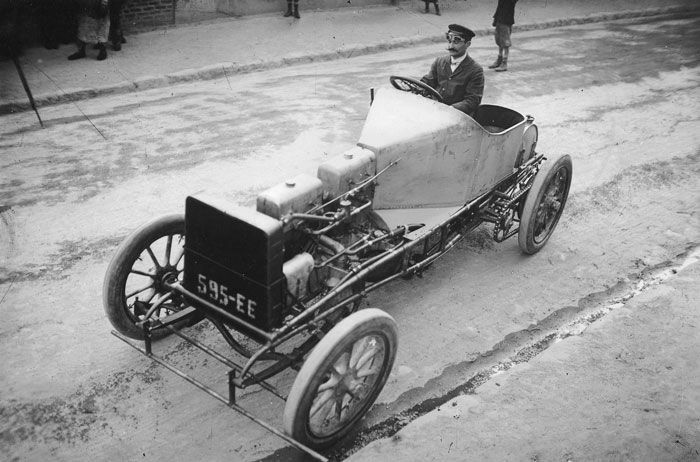 It is also one of so first racing cars to use a tubular frame. This car strongly resembles the 1908 ITALA Grand Prix car, which sold at austion last year for over $2m. I saw the car racing many times during the VSCC races in England during the ‘60s driven by its owner Cecil (Sam) Clutton. The car is featured on page 48-49 in his book “The Vintage Motor Car”. It has a 12 litre, four cylinder engine - and was something to see and hear! 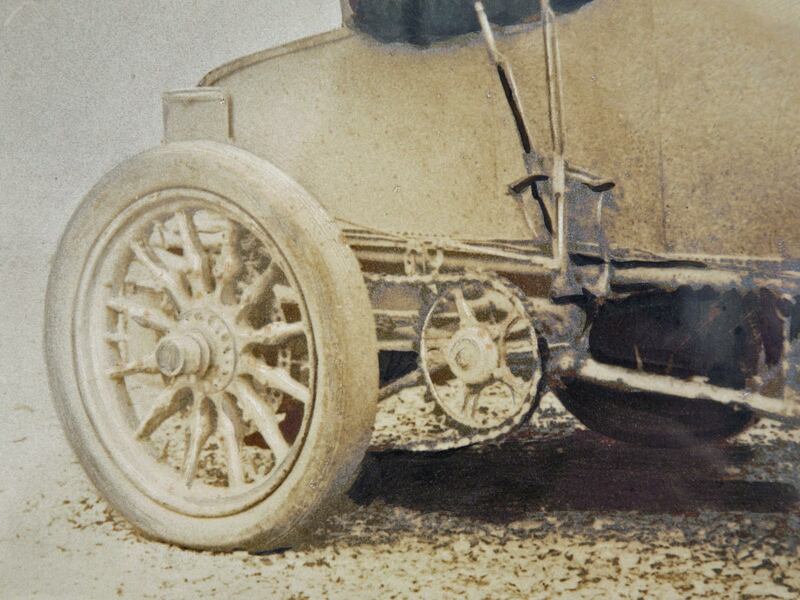 This ITALA now has wire wheels, not wooden wheels as shown. Gustave Lancelot (1830-1906) was a French photographer from Troyes, France (cf. 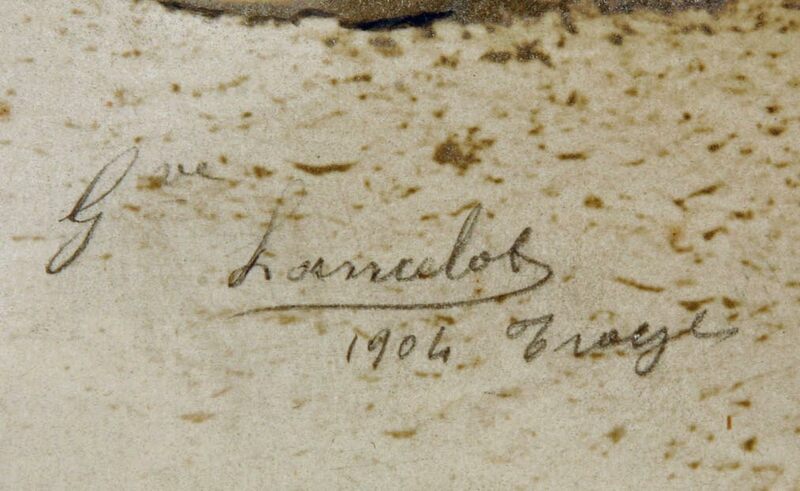 the inscription on the photograph). Meaning that he was already 74 when he shot this photograph! The photograph seems to have been coincidental, because I do not know of any other photographs on the subject by him. 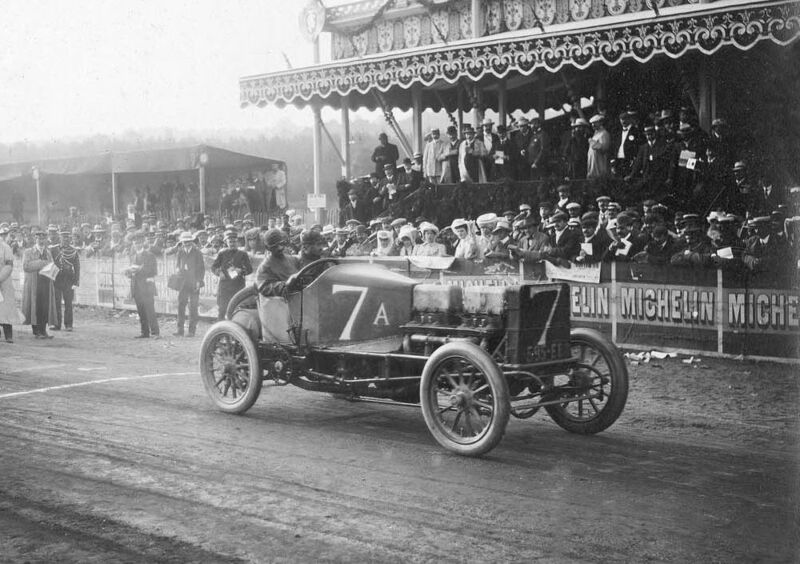 However if you are interested in images of early car racing events in France, check the site http://gallica.bnf.fr/ where you can find a wealth of information on this. 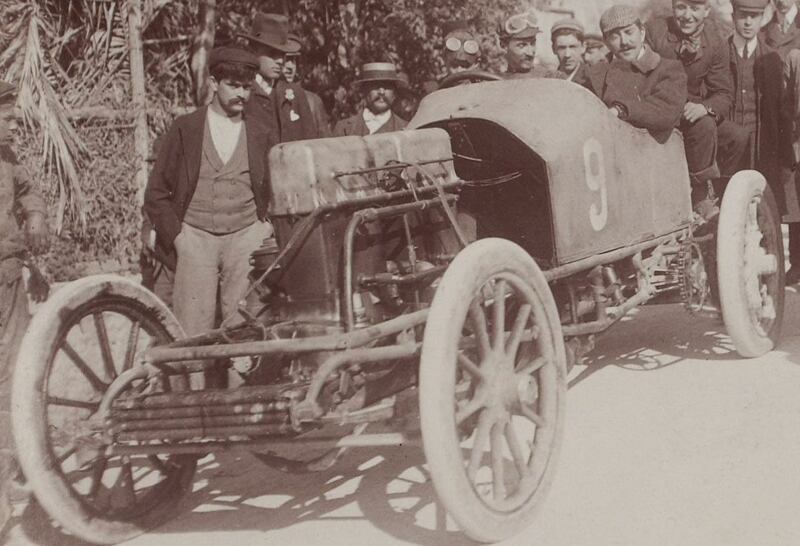 Check particularly the photographic albums of Jules Beau (1864-1932), an important photographer of early French sporting events including automobiles around the turn of the century (he is the source of the Semaine de Nice photograph, by the way). Had to do alot of research on this mystery,but it was well worth it,to know a little more about history in the making. This time I tried to solve it,I had an idea on how to do it,so I took a shot at it,thought maybe I would solve part of it. Gordon-Brillie? Is it not Gobron-Brillie? I am familiar with the Gobron-Brillie (my Cincinnati shop restored a Gobron-Brille engine a few years ago, but I have no knowledge of a Gordon-Brillie. Restoration of the Gobron-Brillie engine was interesting. These engines have two pistons in the same cylinder. Because the cylinders are verticle, the lower (upside down) piston tends to fill with oil, the result being a lot of smoke. We were able to stop the smoking after experimenting with rings. E. Dean, good typo catch. Thanks!